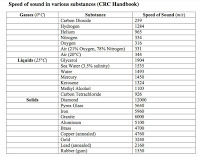 Sound is a force of nature that has its own special and unique properties. It can used artistically to create music and soundscapes and is a vital part of human and animal communication, allowing us to develop language and literature, avoid danger, and express emotions. In addition, understanding and harnessing the unique properties of sound has resulted in some surprising and fascinating inventions and technologies. Below are some interesting notes on the behavior of sound and some novel technological uses, both as a weapon and in contrast in medicine and health care. Sound exists when its waves reverberate through objects by pushing on molecules that then push neighboring molecules and soon. The speed at which sound travels is interesting as it behaves in the opposite manner of liquid. While the movement of liquid slows down depending on the density of the material it is trying to pass through, for example cotton as opposed to wood, sound actually speeds up when faced with denser material. For example,sound travels in Air (21% Oxygen, 78% Nitrogen) at 331 m/s, 1493, m/s through water, and a whopping 12,000 m/s through Diamond. This sound behavior is also evident in how quickly it can pass through the human body, which is generally around 1550 m/s, but passes much more quickly through skull bone at 4080 m/s which is much denser then soft tissue. Interestingly, the average speed through the human body is very similar to that of water, which makes sense because human beings are 90% made up of water. Not only does the density of objects increase the speed ofsound, sound needs material to be present in order to “make sound” inthe first place. Because, it exists when sound waves reverberate through objects. Without objects present, sound does not exist, such as is a vacuum. his makes as a vacuum is an area of space that is completely avoid of matter and therefore has no molecules. This video demonstrates the effect of a vacuum on sound. As the air is sucked out of the bell jar, the bell can no longer be heard. eat, cats hunting, humans screaming and jumping on chairs, etc. The tall ears of rabbits make them sensitive to sounds flying around horizontally, obviously so they know when to jump. Owls work their famous head pivot to create a precise sound listening experience while checking for prey and threats. Deer work to avoid predators with muscles in their ears that allow them to point in different directions. 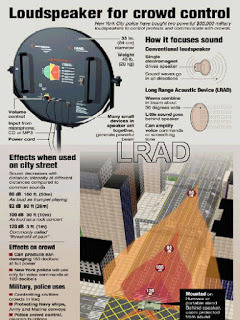 The Long Range Acoustical Device (LRAD) is a machine used to send messages and warnings over very long distances at extremely high volumes by law enforcement, government agencies, and security companies. They are used to keep wildlife from airport runways and nuclear power facilities. The LRAD is also used for non-lethal crowd control. It is effective in crowd control because of its very high decibel range which can reach 162. This exceeds the level of 130 decibels, which is the threshold for pain in humans. It is very precise and can send a “sound beam” between 30 and 60 degrees at 2.5kHZ and will scatter crowds that are caught within the beam. Those standing next to it or behind it might not hear it at all. But those who do report feeling dizzy with symptoms of migraine headaches. This is called acoustic trauma and depending on the length of the exposure and it’s intensity, damage to the eardrum may result in hearing loss. Since 2000, the LRAD has been used in many instances of crowd control throughout countries in the world, and even on pirates attempting to attack cruise ships. Almost humorously, high pitched alarms can also be used to deter teenagers from loitering around shops or engaging in vandalism and drug activity. The “teenage repellant” has been used throughout Europe and the US. 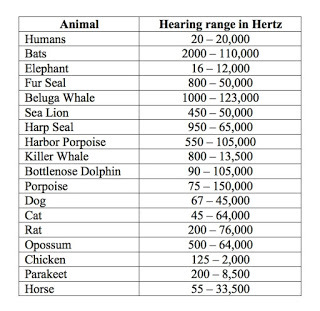 Since teenagers have a higher frequency range of hearing than adults, it targets them specifically, while adults are spared the annoyance of the 17.4KHz emission. There are critics that state these devices unfairly target specific groups (youth) and are therefore discriminatory. Sound levitation, or acoustic levitation, uses sound properties to allow solids, liquids and gases to actually float. It uses sound wave vibrations that travel through gas to balance out the force of gravity and creating a situation in which objects can be made to float. Dating back to the 1940s, the process uses ultrasonic speakers to manipulate air pressure and points in the sound wave that counteracts the force of gravity. A “standing wave” is created between a “transducer,” such as a speaker and a reflector. The balancing act occurs when the upward pressure of the sound wave exactly equals the force of gravity. Apparently the shape of liquid such as water can be changed by altering the harmonics of the frequencies that result in star shaped droplets. In terms of practical uses of sound levitation, they do improve the development of pharmaceuticals. When manufacturers create medicines they fall into two categories called amorphous and crystalline. The amorphous drugs are absorbed into the body more efficiently than crystalline drugs. Therefore, amorphous are ideal because a lower does can be used so they are cheaper to create. So, during evaporation of a solution during manufacturing, acoustic levitation is because it helps prevent the formation of crystals because the substance does not touch any physical surfaces. Acoustic levitation, in others words stops substances from crystallizing, thus creating a much more efficient method of drug creation. In addition, sound levitation creates essentially a zero-gravity environment and is therefore an excellent environment for cell growth. Levitating cells makes sure that a flat shape is maintained which is the best for the growing cell to absorb nutrition. It could also be used to create cells of the perfect size and shape for individuals.Sound behaves in its own fashion and is a phenomenon that can be used in force and in healing. It taps into the physics of the natural world and through its interaction allows for all sorts of human invention. Surely, sound will continue to be researched and pursued as a powerful natural element to be used in a myriad of new ways.